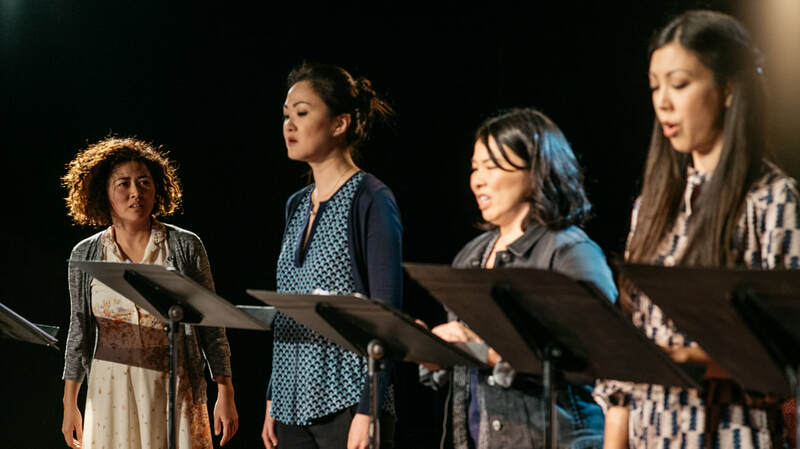 Through our new staged reading series, Hero Theatre continues to examine what defines a classic. As we use classical works as a tool for social progress, what will the cannon look like in times ahead? Don't miss this opportunity to attend this exciting reading series with live performances of some of your favorite theatre work. ​up-and-coming opponent, he is understandably bitter. However, what gets to him even more are the accusations flying around that Decima lost because he’s queer. When Decima fights his next opponent, the fast-talking Wilfred Vinal, Vinal reveals the one who really deserves that label of “queer.” This revelation sparks a chain of events that expose the toxicity of hyper-masculinity and its tragic consequences. Tickets will be available soon. Please sign-up for our mailing list to receive updates! 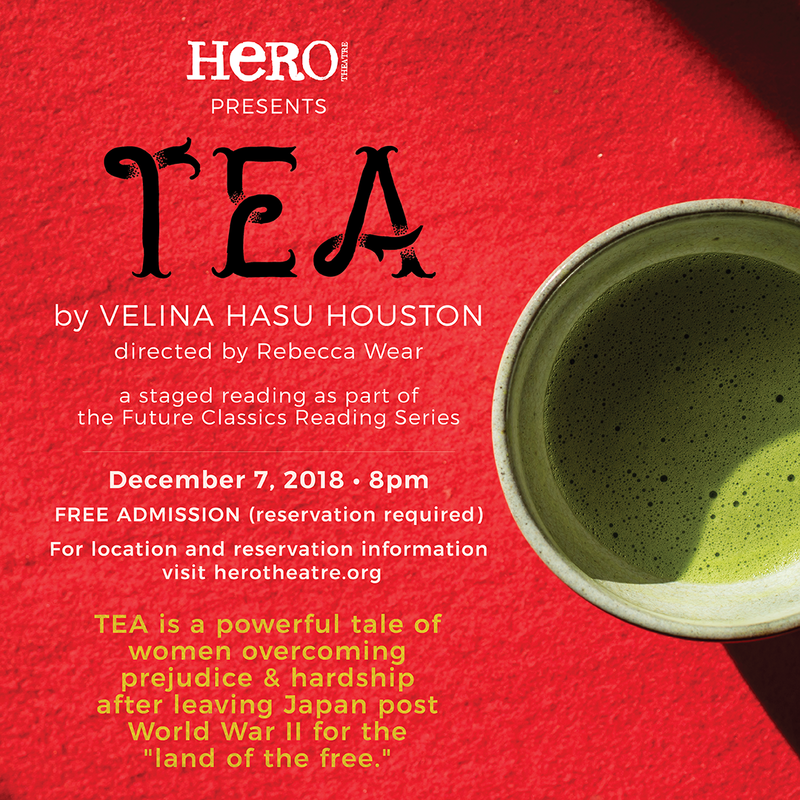 THE READING OF TEA HAS PASSED BUT SIGN-UP FOR OUR MAILING LIST BELOW TO RECEIVE UPDATES ON OUR 2020 PRODUCTION! Shakespeare’s famous “Scottish play” is a story of ambition, greed, and guilt. When Macbeth encounters three witches who prophesize that he will someday be king, he – at the urging of his wife – risks safety and sanity to secure the crown. 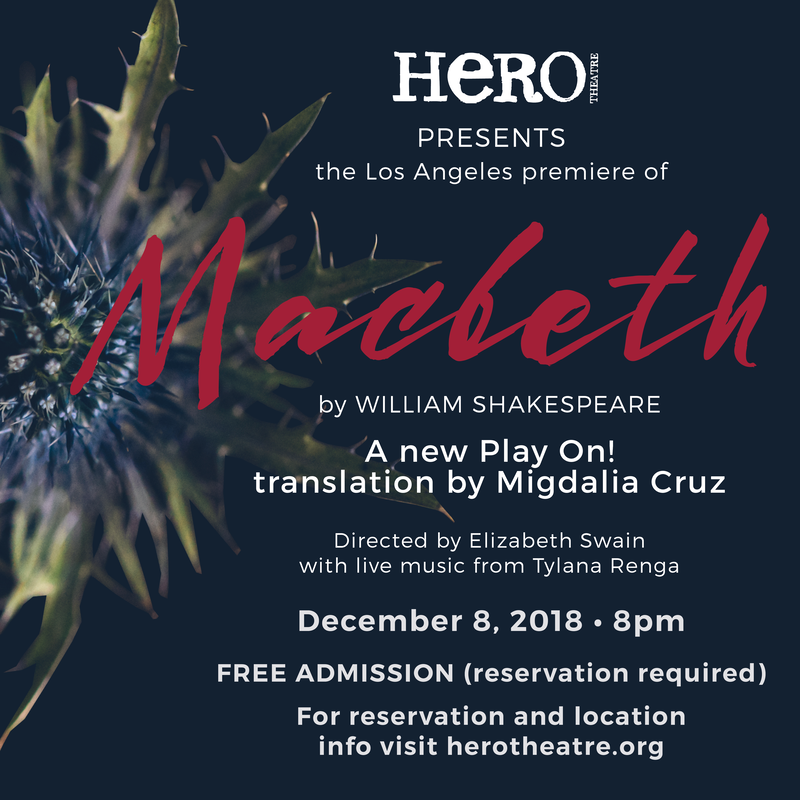 Hero Theatre is proud to bring esteemed Puerto Rican playwright Migdalia Cruz’s modern verse translation of Macbeth to Los Angeles for the very first time. 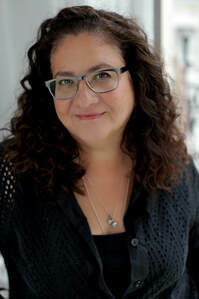 Cruz was one of 36 playwrights commissioned by the Oregon Shakespeare Festival to create a modern-English translation of a Shakespearean play for the Play On! 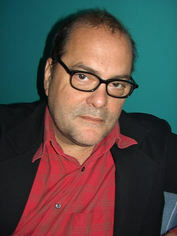 series, which was made possible by a generous donation from the Hitz Foundation. THE READING OF MACBETH HAS PASSED. SIGN-UP FOR OUR MAILING LIST BELOW TO RECEIVE UPDATES ON FUTURE READINGS. 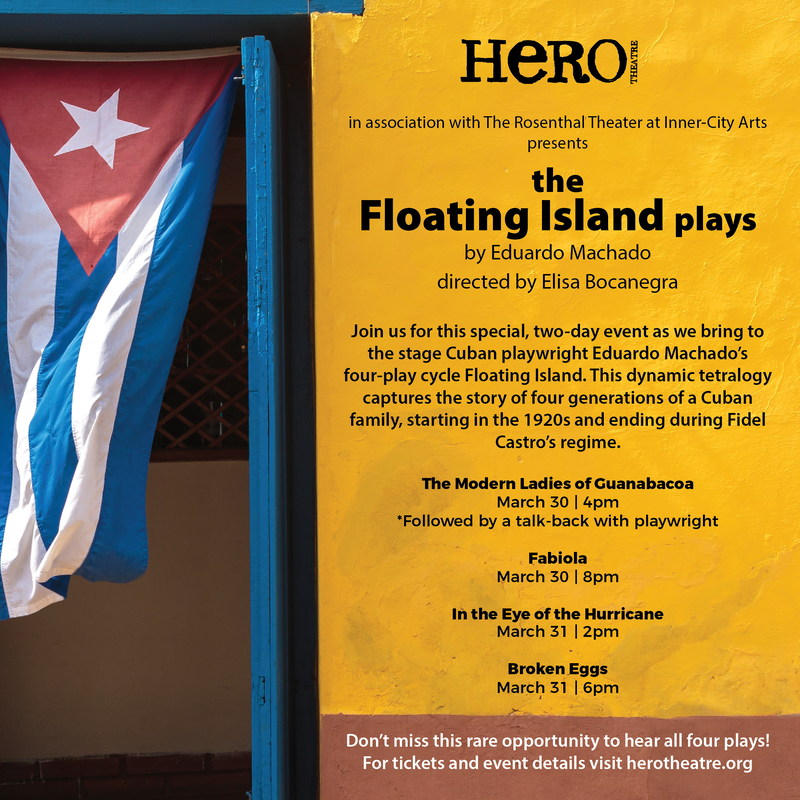 Join us for a special, two-day event as Hero Theatre brings to the stage Cuban playwright Eduardo Machado’s four-play cycle Floating Island. This dynamic tetralogy captures the story of four generations of a Cuban family, starting in the 1920s and ending during Fidel Castro’s regime. 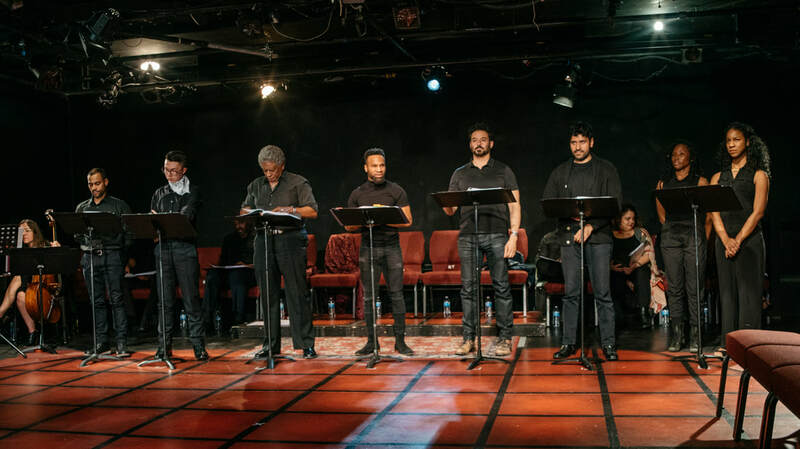 Titled “The Modern Ladies of Guanabacoa,” “Fabiola,” “In the Eye of the Hurricane,” and “Broken Eggs,” these plays are seen as both family and political dramas, and offer wonderful insight into the Cuban/Cuba-American experience. THE READINGS OF THE FLOATING ISLAND PLAYS HAVE PASSED. ​SIGN-UP FOR OUR MAILING LIST BELOW TO RECEIVE UPDATES ON FUTURE READINGS. 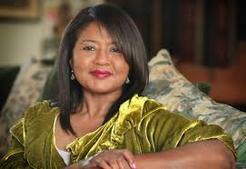 consider making YOUR tax-deductible donation today.